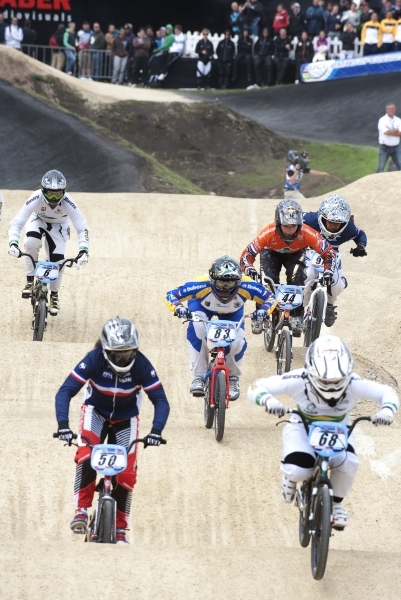 10 May 2012 – Papendal, the Dutch National Sports center near Arnhem, will host the third stop of this year’s UCI BMX Supercross World Cup Series on May 12 and 13. 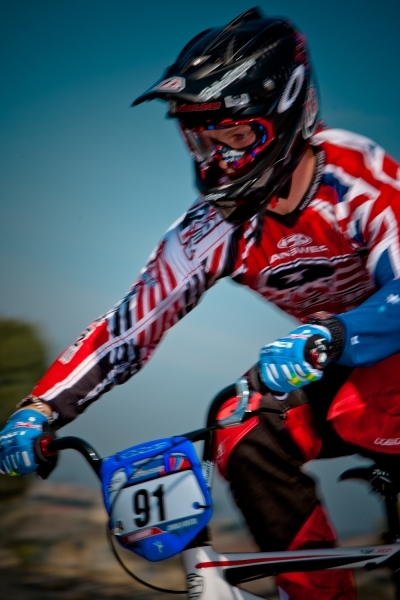 After this stop the UCI BMX Nation’s ranking for the Olympic games will be established. Based on that ranking the maximum amount of riders per country that can qualify for the Olympic games will be determined. Interestingly it is the Dutch that are in the most threatened position in the elite men ranking. Columbia, in sixth place, is allowed to send only two riders. The Dutch, in fifth place, are currently able to send three. But things could change for the Orange riders on their home soil. With 78 days to go to the opening ceremony of the Olympic games, the 170 riders from 26 countries will all be very eager to race the recently reconfigured replica of the London Olympic track. This Papendal stop promises once again to be very spectacular. For most nations this event will also be a key-qualifier for the individual riders. Caroline Buchanan (AUS) won her first Supercross title in Norway last month. The hard working Australian rider seems to be one of the favorites, together with Magalie Pottier from France. Pottier also secured her first Supercross win at this year’s first stop of the UCI BMX Supercross World Cup series in Chula Vista, California. Both riders will be keen to prove that they are capable of winning many more Supercross World Cup Series and become World Champions. The three most recent UCI World Champions are not going to be present. Shanaze Reade (GBR), the 2010 World Champion, is not racing. Sarah Walker (NZL), who won the rainbow jersey in 2009, is injured, as is the 2011 World Champion Mariana Pajon (COL). All of them are scheduled to return to racing for the Olympic Games. Willoughby, third time lucky this time? Elite men: Four in a row for Fields? With the men the big question remains: can Connor Fields (USA) win four Supercross races in a row? It will always be difficult to predict any BMX Supercross World Cup. Especially on the biggest and longest UCI BMX Supercross track on the circuit in Papendal. Fact is that Fields won the last stop in 2011 and the first two of 2012. In Randaberg, Norway, the ‘Vegas kid’ proved that, in his current form, he can win on any track. Question is: can Fields maintain his form once again during this crucial event on a completely different course? Maris Strombergs (LAT), the current Olympic Champion, has signed up for this event, as did Sam Willoughby (AUS). Willoughby was the runner up in Chula Vista and second to Connor Fields again in Norway, where the Aussie lost by the smallest of margins ever. Willoughby does not want to pull the short straw again and is ready to race. Current World Champion Joris Daudet (FRA) must be looking for a podium finish, as he has not been on the podium yet in 2012. Last year’s winner Marc Willers did announce on his Facebook page that he will not be posting anything before the BMX World Championships in the end of May, showing that all his focus is to get on the podium and show his competitors he is a big threat in 2012. But also keep an eye out for some of the local favorites from the Dutch Army for a strong finish. Unfortunately, Jelle Van Gorkom (NED) is still recovering from his crash in Chula Vista. He was second in 2011. But then there is still Raymon van der Biezen, Ivo van der Putten and Twan van Gendt, amongst many others.